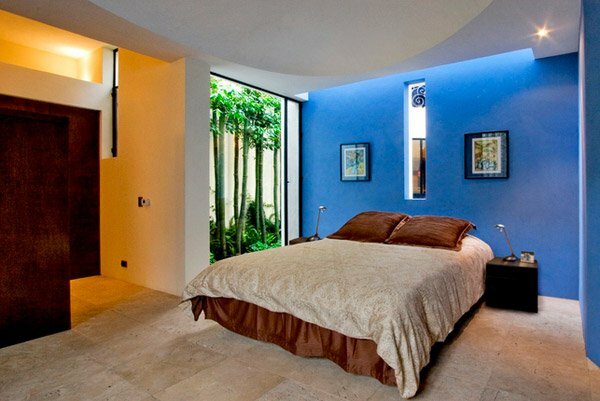 Choosing the color combination you want for your bedroom is a challenging task because you may want to see your favorite colors but at the same time be able to make sure that the colors are comfortable and calming especially that it is the place where you want to rest and calm your mind. Picking colors may be your own choice or you can always work out plans with your decorator or designer if you have or want one. Teal is a color somewhere in between blue and green. It is even sometimes mistaken for turquoise or cyan. Anyway, they said the first recorded use of teal as a color name in English was in 1917 – that’s according to our friend Wiki. 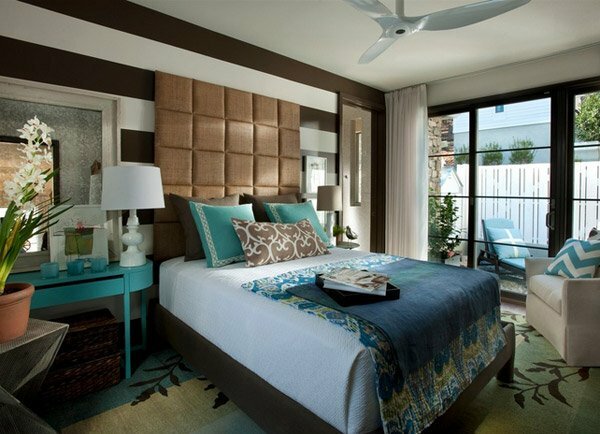 The list we have today are 15 Beautiful Brown and Teal Bedrooms which may seem to be one of the best color choices for homes by the beach or for homes you would want to have that beach-feel. Take a look at the rooms we have below. Anyone who would have this chic bed for their bedroom would feel like being inside a hotel room every time! 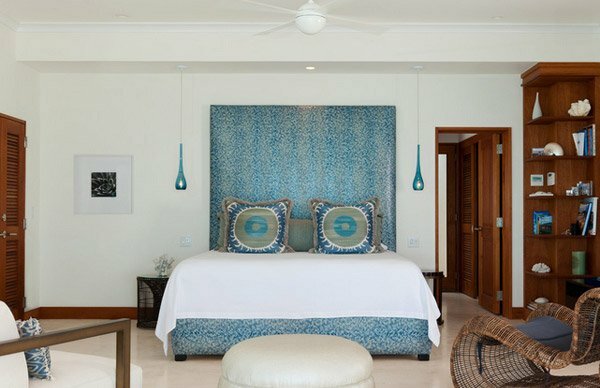 We love the design of the bed and the colors that accentuate the neutrals. The thought of having enough privacy for this room is neutralized by the high fence behind the floor-to-ceiling window. The large scale custom built-in wall detail behind the king size bed demands attention! This gorgeous built in detail made of mirrors and wood energizes the room. 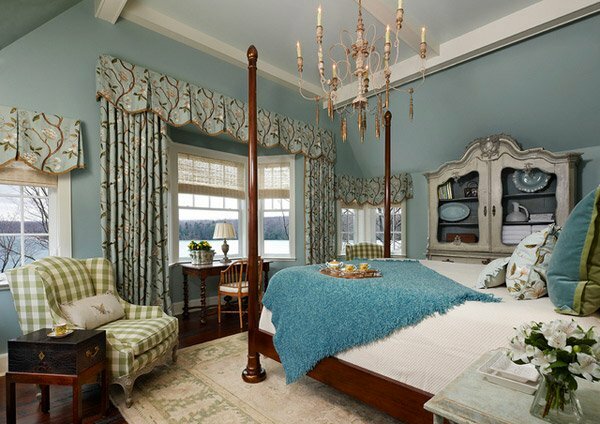 Light and neutral colors light up against the bold teal color. The color of the wall makes it more lively because of how calming the browns this room have. This is a loft bedroom in an actual loft in Chelsea. It’s completely visually private, but its walls are open to the rest of the living space. Everything in white makes it feel cloudlike. Knobs and handles are an easy and instant way to change the look of a piece of furniture – just look at the furniture by the foot of the bed. We are very much impressed by how the huge bed is in ratio to the bedroom, but comfort should never be compromised, right? This Eagle Island home maybe traditional, which means the combination brown and teal sure makes a good pair ever since. 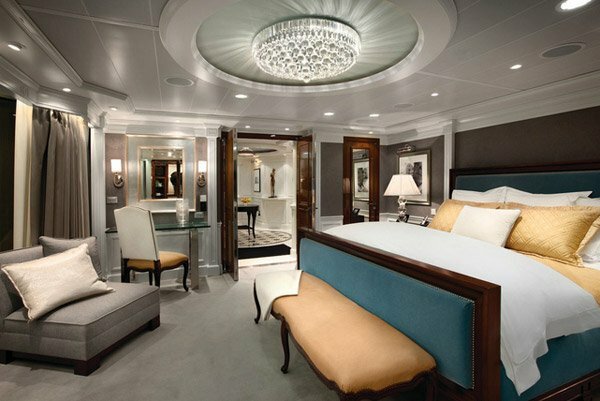 From the curtains to the walls- we can say that this is a lovely room indeed. The accent wall is just fascinating, the color combination of the pillows are plain warm and cuddly – fit for the season. Don’t you agree? The Pumpkin Chair by the window is an unexpected occasional chair in this bedroom which looks really stunning and complements the space really well. Lavish chocolate brown and cream drapes topped with an elegant cornice box along with pops of teal add the final touches to this teen’s bedroom. 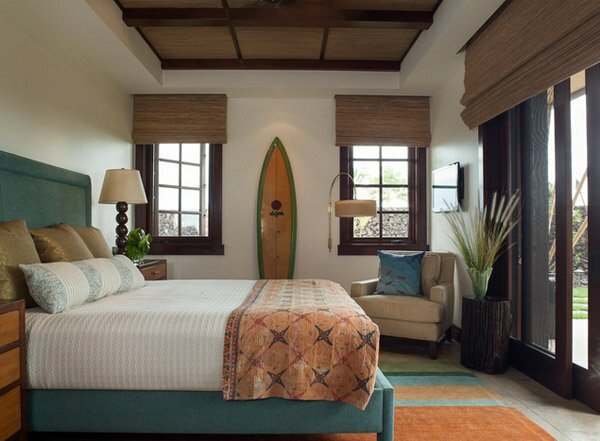 The cutest part of this bedroom may be the surf board, but believe us, the drapes are much more interesting. The colors are just wonderful and match the whites. The color of the bed frame is lovely too. The colors of the walls are very similar to the color of the sky. 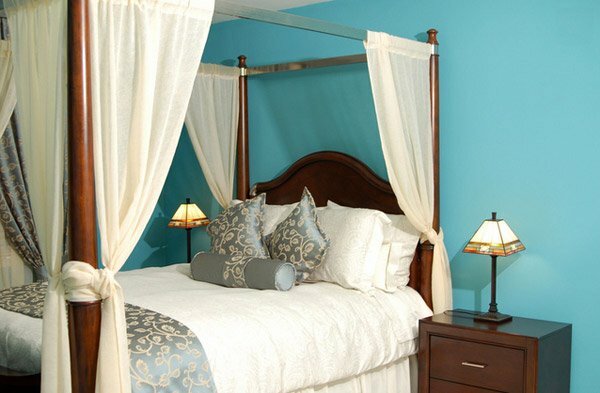 Along with white fabric, this refreshing blue creates an elegant and relaxed mood in the bedroom. If the colors were more stronger than they are, this room would have been more beautiful than it already is. We just love this whimsy-like feeling this room extrudes and we also like the basic design elements. Imagine the whimsy parts could be traded out easily! Redecoration would be as easy as 1-2-3! The vivid teal popping out amidst the neutral colors all around makes this room a little bit brighter and fun. 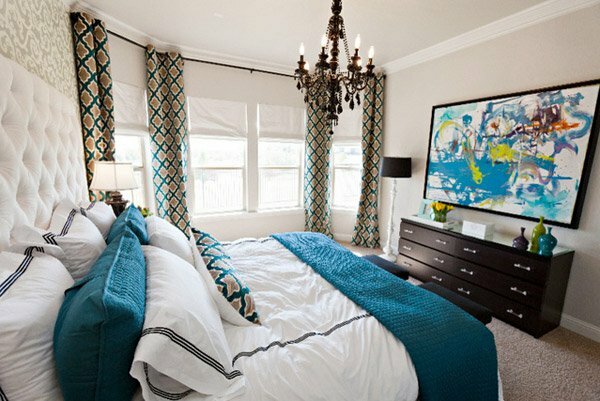 Seeing all those images above, we can definitely say that the 15 Beautiful Brown and Teal Bedrooms sure are great choices for colors we can have in our bedrooms. They’re both related to earth colors which are calming and definitely worth a second look. Check out the Modern Contemporary Masculine Bedrooms which has some related color combination but more on the manly side. The pictures you just saw are both stunning and really impressive. Hope you’ll have fun!